E. Blaine Rawson, shareholder, is a member of the Firm’s Litigation Section and the Chair of the Environmental and Natural Resources Section. Mr. Rawson has been practicing environmental, natural resources law, and commercial litigation since 1995. His expertise covers Clean Air Act, CERCLA, RCRA, and Clean Water Act litigation and counseling, as well as related state issues such as groundwater, underground storage tanks, and state air quality law. Mr. Rawson has represented energy and natural resource companies in matters related to the federal and state permitting of, and litigation and enforcement actions related to, crude oil and natural gas pipelines, coal-fired power plants, syn-fuel facilities, hard-rock mines and natural gas processing facilities. He also has practiced in many areas of commercial litigation in both federal and state courts related to electrical generation, regulated utilities, oil and gas production, transportation, and refining. Mr. Rawson has written articles regarding underground storage tank regulation, water rights, injunctive relief in environmental cases and the “overfilling” authority of the EPA. Mr. Rawson has also spoken at several seminars regarding power plant permitting, supplemental environmental projects, Clean Air Act permitting and other environmental topics. Mr. Rawson has been recognized in Chambers USA in Energy & Natural Resources (Band 2). He has been included on the list of The Best Lawyers in America in Environmental Litigation and was recognized by Best Lawyers as Lawyer of the Year in Environmental Law (2015). Mr. Rawson has also been selected for inclusion in Mountain States Super Lawyers (2008, 2011-2018) in the category of Environmental Litigation. 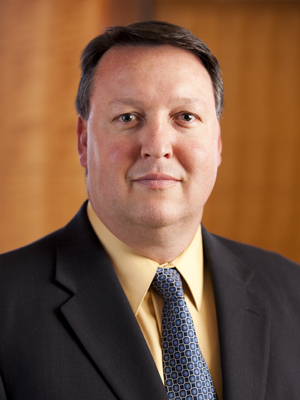 He maintains an AV Preeminent (5.0) rating with Martindale-Hubbell, which is the highest rating awarded to attorneys for professional competence and ethics, and has been voted by his peers throughout the state as one of Utah’s “Legal Elite,” as published in Utah Business Magazine (2012-2019). Both prosecuted and defended large, complex cases regarding underground storage tank leaks and spills in administrative proceedings, state court, and federal court. In these cases, have represented individuals, automotive dealers, oil and gas distributors, convenience store owners, and others. Represented many companies requesting ongoing advice regarding RCRA issues, such as Bevill exemptions, waste characterization, recycling, PCBs, and generator and transporter compliance issues. These companies include oil, gas and mining companies. Prosecuted and defended citizen suit actions under RCRA. Represented plaintiffs in citizen suit actions to compel environmental remediation activities, including sites in Utah. Supervised the transfer of all environmental permits required by the merger of major oil, mining and energy companies. These permit transfers included air, water, and various local environmental permits. Supervised the acquisition of all environmental and land use permits for major energy projects, including pipelines, alternative energy projects, etc. Assisted with obtaining a PSD permit for a coal-fired electrical power plant and defended environmental organization’s challenge to same PSD permit before Air Quality Board, including successful challenge to argument that permit was invalid for failure to control greenhouse gases. Represented major source in defense of alleged PSD and NSR violations at five facilities. Representation includes demonstration that no “significant net emissions increases” have occurred or that specific modifications have been “routine maintenance” for purposes of PSD/NSR. Assisted refinery in addressing consent decree issues arising from PSD/NSR settlement. Assisted clients in avoiding PSD/NSR through synthetic minor limits and draft permit review to accomplish that result. Represented energy company in PSD enforcement case involving multiple facilities and multiple Clear Air Act programs. Assisted companies in responding to massive Information Requests (and subsequent issues arising thereafter) under Section 114 of the Clean Air Act. Provided advice to coal-fired power plants and oil and gas clients on air quality enforcement and compliance matters such as construction permits, operating permits, major source determinations and source aggregation, avoiding PSD/NSR, BACT analyses, MACT standards, leak detection and repair, and accidental release prevention. Advised clients in a range of industries on detailed procedures for self-audits and disclosures. Represented clients in rulemaking proceedings before the various environmental agencies.